Respond to Highways England again! Please click on the image to view video. 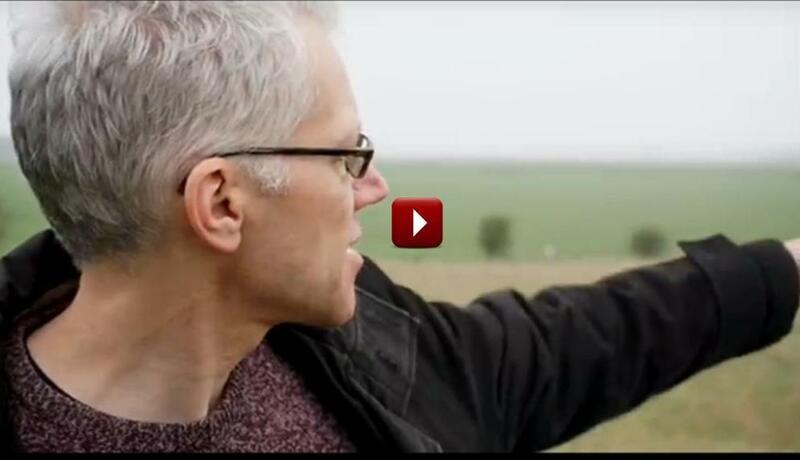 19 September 2018 – Historian and Stonehenge Alliance President, Tom Holland, describes the location of the Stonehenge tunnel within the internationally significant landscape. He denounces the legacy as a tragedy for posterity. Time is running out. Please take action. 4 August 2018 – Why the Stonehenge Tunnel is more than a desecration of Europe’s most precious prehistoric landscape. It is a spectacular waste of money as well. Here is the paper by the Tax Payers Alliance. Respond to Highways England supplementary consultation by midnight, 14 August. 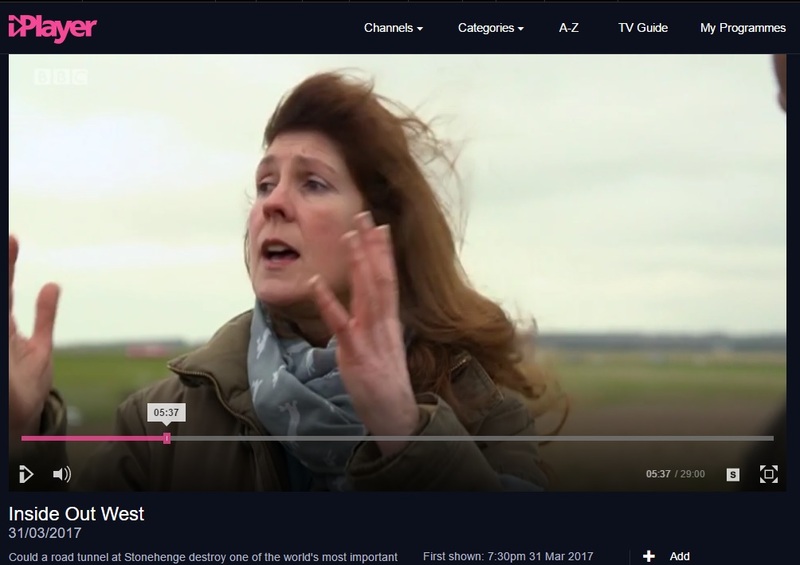 20 April 2018 – Respond to Highways England by midnight on Monday 23 April to object to their plans for a tunnel and road by Stonehenge that threaten to devastate Europe’s most significant prehistoric landscape. Consultation closed on 23 April. Inside Out West asks “Could a road tunnel at Stonehenge destroy one of the world’s most important archaeological sites?” Farmer, Rachel Hosier, wants the road to be sensitive to the peace of Normanton Downs where the western portals are planned, whilst archaeologist David Jacques doesn’t want the road to come anywhere near the significant finds of Blick Mead where an 8 meter high flyover and bank are planned on the Eastern boundary of Stonehenge World Heritage Site. Clip starts 1:08 minutes into the programme and ends at 10:32 minutes. A report from Bush Barrow to view the projected western portal of what the Government intends will be a 4-lane road tunnel in the heart of the Stonehenge World Heritage Site. Watch. Weep. Protest. Associated blog: Archdruid leads tunnel protest amidst uncertainty. Filming donated by campaign supporters. 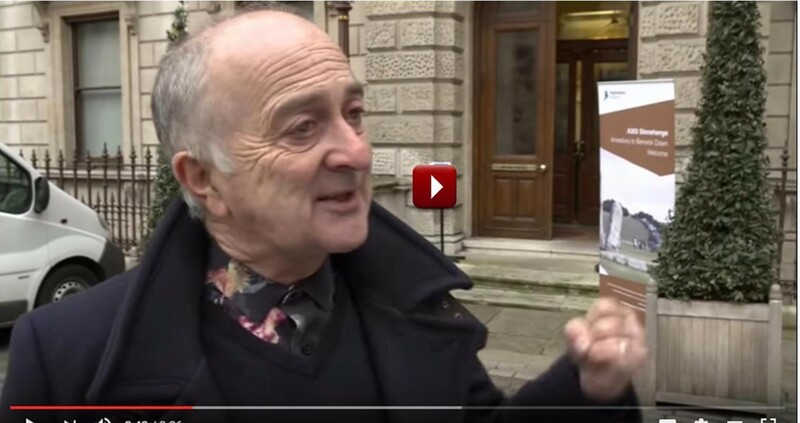 Stand up for Stonehenge with Tony Robinson! Published by the Stonehenge Alliance: 25 February 2017 Save Stonehenge! “The UK Government wants to build a motorway through the World Heritage Site 400m south of Stonehenge. 2.9km of this new motorway will be in a short, bored tunnel. 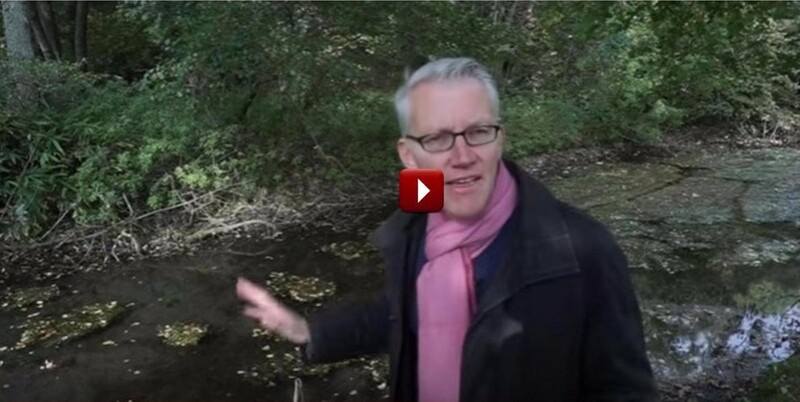 The western end of this tunnel will emerge well within the World Heritage Site, in the middle of the most important barrow cemetery in this pristine landscape.” In this video Dr. Julian Richards explains why this short tunnel is a terrible idea. 6.24 minutes. A shorter version available here. Duration 1.07 minutes. 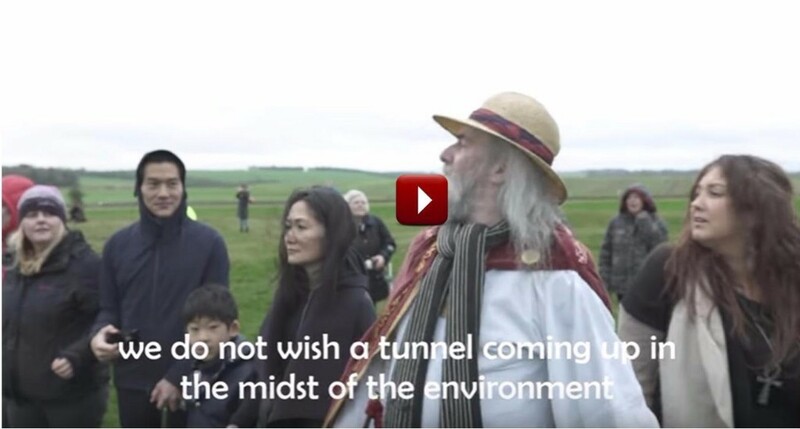 Video clip in which Dr Kate Fielden, for the Stonehenge Alliance said: “If they are going to put a tunnel in, then it needs to be long enough not to do any further damage. This scheme is a major disaster for the Word Heritage Site.” 1.06 minutes. You’ve seen the threat. Time to take action!